Linda J. Blumberg, Ph.D., economist and principal research associate in the Health Policy Center of the Urban Institute, is a nationally renowned expert on private health insurance, health care financing and health system reform. Dr. Blumberg writes on and advises Congress on issues related to small businesses and insurance, adverse selection in private insurance markets, mechanisms for expanding coverage and tax incentives for health insurance purchases. Blumberg spoke to ERIU about the role of risk segmentation, its effect on health insurance markets and how it hinders efforts to expand coverage and reform the health care system. Katherine Baicker, Ph.D., Professor of Economics at Harvard University, focuses her research on the financing of health insurance, public program expenditures, and fiscal federalism. 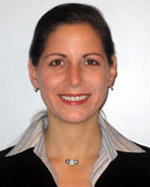 Baicker, a research associate at the National Bureau of Economic Research, also served as a Member of President Bush’s Council of Economic Advisers when Bush first proposed replacing the employer subsidy in the tax code with a flat deduction for anyone purchasing health insurance. Baicker spoke with ERIU about the reasons for the disappointing return the United States gets on its health care spending, tax code reforms and other changes that might boost that return, as well as the need for policymakers to look at health care spending and universal coverage together. Rebecca Blank, Ph.D., Professor of Economics and the Henry Carter Adams Collegiate Professor of Public Policy, Gerald R. Ford School of Public Policy, University of Michigan, researches the interaction of economic policies and the well-being of low-income families. 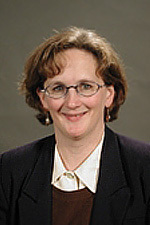 Blank, dean of the Gerald R. Ford School of Public Policy at the University of Michigan from 1999 until 2007, and co-director of the National Poverty Center at the Ford School, has published several papers and books on the relationship between government anti-poverty programs, the macroeconomy and the behavior and well-being of low-income families. Blank spoke to ERIU about why the measure of poverty in the U.S. is in need of an overhaul, approaches to including health care costs as part of the poverty calculation and who would likely be poor and who would not. Thomas Buchmueller, Waldo O Hildebrand Professor of Risk Management and Insurance and Professor of Business Economics and Public Policy, Stephen M Ross School of Business, University of Michigan, National Bureau of Economic Research fellow and ERIU researcher, has been investigating how the link between health insurance and the workplace affects the behavior of workers and employers - research that has made him an expert on the often misunderstood issue of take up, or the decision to enroll in a health insurance plan for which one is eligible. Professor Buchmueller recently talked with ERIU about take-up trends, factors that determine whether someone will or will not take up offers of private or public health insurance, and the role take up plays in determining the success of insurance coverage expansion efforts. 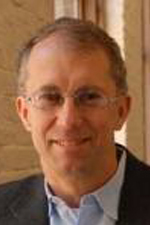 David Cutler, professor of economics in Harvard's Department of Economics and Dean of Social Sciences for the Faculty of Arts and Sciences, is a nationally recognized expert in the economics of quality care. Professor Cutler has been making the case that, instead of focusing on controlling health care spending, policymakers should be working on approaches to improve quality, leverage value out of the health care dollar, and spend more to expand coverage to those who lack it. Professor Cutler served on the Council of Economic Advisers and the National Economic Council during the Clinton Administration and advised the Presidential campaigns of Bill Bradley and John Kerry. Roger Feldman, Blue Cross and Blue Shield Professor of Health Insurance and Economics at the University of Minnesota, has spent his career researching the organization, financing and delivery of health care focusing on the role of health insurance. Currently, he is evaluating several "consumer-driven" health plans. Feldman talked to ERIU about the growth of consumer directed health plans, who are buying these policies, how they are affecting health care purchasing decisions, and whether they hold promise for those without health insurance. Dana Goldman, Director of Health Economics at the RAND Corporation and Professor of Health Services and Radiology at UCLA, has been at the forefront of helping policymakers better understand the link between medical technology and health costs. Goldman's research focus includes labor market effects of health reform, managed care, technology assessment, and pharmaceutical regulation and innovation. Goldman is particularly steeped in understanding the role that medical technology and health insurance play in determining medical outcomes. Goldman recently spoke to ERIU about technology's effect on health care costs and access to care. He also highlighted possible considerations for expanding health care coverage to people without health insurance. 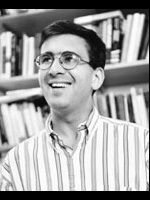 Jonathan Gruber, Economics Professor at MIT, is one of the nation’s most well-regarded health financing experts and an architect of Massachusetts’ quest to cover all of its uninsured residents. That plan—being viewed as a national model—requires all residents to obtain health insurance by July 1, or risk losing personal exemption for 2007 income taxes. In addition to helping state officials hammer out the details of Commonwealth Care, Gruber also sits on the board of the Massachusetts Insurance Connector, the main implementing body for the Commonwealth’s health reform plan. Gruber talked with ERIU about President Bush’s controversial proposal to change the tax code to encourage the purchase of health insurance and prospects for Massachusetts’ and other state health reform efforts. Helen Levy, University of Michigan Department of Health Management and Policy Economist and ERIU researcher, spends her time exploring the reasons why some households do not have health insurance. Recently, Levy has examined how people spend their money, and the relationship this has to policies for expanding health coverage. Before coming to Michigan, Levy was an assistant professor in the Irving B. Harris Graduate School of Public Policy Studies at the University of Chicago, where she focused on health economics, public finance and labor economics and other social issues related to the uninsured. Thomas G. McGuire, Harvard Medical School economist, studies the design and impact of health care payment systems and the economics of mental health policy. 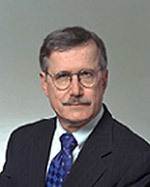 McGuire, who is a member of the Institute of Medicine and a coeditor of the Journal of Health Economics, has contributed to the theory of physical health, hospital, and health plan payment. McGuire spoke to ERIU about the disparities inherent in payment and coverage of mental heath as compared to physical health services, and the policy implications this holds. Catherine McLaughlin, University of Michigan economist and director of the Economic Research Initiative on the Uninsured (ERIU), studies issues of the uninsured, market competition, and employer and employee benefit choice. McLaughlin served as vice-chair of the Citizens’ Health Care Working Group, established as part of the Medicare Modernization Act of 2003 and charged to hear how people outside of Washington view the health care system’s problems and then seek solutions from citizens. The Working Group sent recommendations to the Congress and the President on September 29, 2006. McLaughlin talks about the group’s recommendations, the disconnect between the public and health care policymakers when it comes to dealing with the uninsured, and lessons she learned from citizens. David O. Meltzer, M.D., Ph.D. is director of the Center for Health and the Social Sciences at the University of Chicago and also co-director of the Program on Outcomes Research Training and the M.D. /Ph.D. program in the social sciences. Dr. Meltzer’s research explores problems in health economics and public policy with a focus on the theoretical foundations of medical cost-effectiveness analysis and the effects of managed care and medical specialization on the cost and quality of care. With economist Helen Levy, Meltzer has conducted widely-cited reviews of the evidence on the impact of health insurance on health, finding that few studies shed light on the causal relationship between insurance and health. Meltzer spoke with ERIU about the value of health insurance coverage and the importance of causal evidence of the impact of insurance on health. 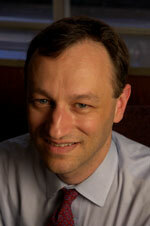 Len Nichols, a highly respected healthcare economist, directs the Health Policy Program at the New America Foundation. 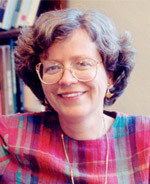 Before joining New America, Dr. Nichols was the Vice President of the Center for Studying Health System Change, a Principal Research Associate at the Urban Institute, and the Senior Advisor for Health Policy at the Office of Management and Budget during the Clinton reform efforts of 1993-94. Mark Pauly, Ph.D., Bendheim Professor; Professor of Health Care Systems, Business and Public Policy, Insurance and Risk Management, and Economics, is an expert in the complexities of the U.S. health insurance market and how income, health, and employment status affect insurance coverage rates. His 1968 article on moral hazard in the purchase of health care has been described as the “single most influential article in the health economics literature.” Pauly spoke to ERIU about the effects of moral hazard on behavior, why changing current tax policy would help more people get health insurance, and whether individual mandates are a useful vehicle for getting people to buy health insurance. Harold Pollack, Associate Professor at the University of Chicago, studies the linkage between poverty policy and public health. His recent research focuses on HIV and hepatitis prevention efforts for injection drug users, drug abuse and dependence among welfare recipients and pregnant women, infant mortality prevention, and child health. Pollack talked to ERIU about the challenges of being uninsured, the effect that lack of health insurance has on vulnerable populations, and what steps are needed to provide health insurance security to millions of people who are at high risk of illness. 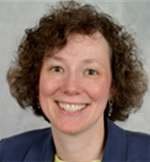 Anne Royalty, Associate Professor of Economics at Indiana University-Purdue University at Indianapolis, examines issues connecting labor and health economics. Royalty has found that two wage–earner families get substantially added protection when it comes to health insurance, while single-income households are far more vulnerable and at risk of losing insurance during job loss, divorce and other transitions. Royalty spoke with ERIU about what this means for crafting better targeted policies to expand health insurance coverage. Kosali Ilayperuma Simon, Ph.D., Associate Professor in the Department of Policy Analysis and Management, Cornell University, studies the impact of regulatory programs designed to make health insurance more available for vulnerable populations, including workers in small firms. Simon, who also is a Faculty Research Fellow of the National Bureau of Economic Research and a research associate of the Census Bureau, investigates the determinants of health and health care use. 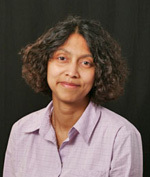 She is the 2007 recipient of the John D. Thompson Prize for Young Investigators. Simon talked to ERIU about the problems with and myths about the small group market, as well as highlighting the pros and cons of policies to improve coverage rates for workers employed by small firms. 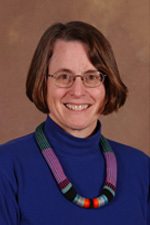 Katherine Swartz , a Harvard School of Public Health professor and ERIU researcher, has spent most of the past two decades studying why people lose health coverage, the socio-economic diversity of the uninsured pool, how long people spend in spells without health insurance, and what economic policies could expand coverage to more people. Professor Swartz has focused recently on the individual health insurance market, including how fear of adverse selection leads insurers to avoid people with high medical costs, and what policies could help keep premiums affordable.